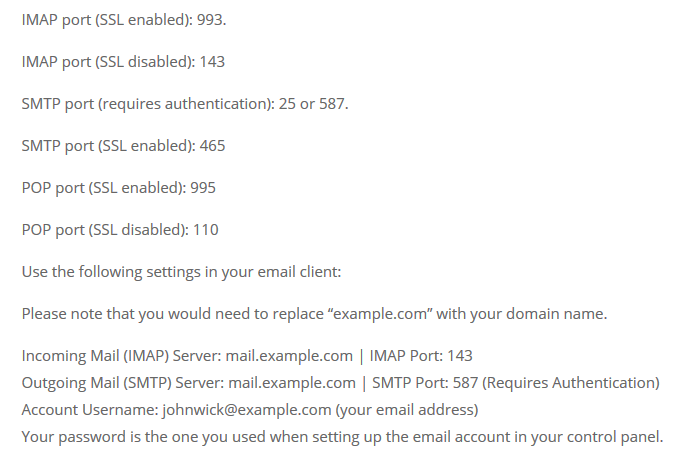 Both the POP3 and IMAP email accounts are the easiest to troubleshoot because their settings are universal except for a few. First check to see if the phone was configured to receive email messages. Make sure you have the correct login credentials by logging on using webmail through a browser either from your phone or your computer. Once logged in, send a test message to your own email address. This would confirm you could send and receive at the same time. Now log out from the webmail. On your phone, enter each credential carefully (especially the username and password) when asked to. This is the case you haven’t setup your account yet. If you’ve already setup your account, double check your credentials including the incoming and outgoing server settings. If you’re satisfied with the settings, send a test message like you did in step 3. If you still unable to send / receive messages, clear email application data for that specific account and enter them again. After a second or third try and the problem persists, try to use a different email client. Setup your account using a different email client and see if you can now send and receive email messages. If you can, clear all data of the first client you tried to use, force stop the app, reboot your phone, then re-setup your account. In case the problem still persists, try to find an update for the app if there’s any. If all else fail, backup everything in your device and reset it to its factory settings. Or, you could continue using the second email client you just downloaded.